View the entire table of contents for the Dec. 15, 2018 issue. Dom Pérignon, the prestige cuvée from Moët & Chandon, has become one of the most recognizable labels in Champagne, and the team responsible for what's in the bottle has a huge task: to maintain the wine's quality, consistency and character. Wine Spectator's Alison Napjus explains. 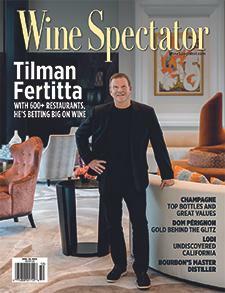 For the full article, check out the new issue of Wine Spectator, on newsstands November 13, 2018.